Saturday and Sunday September 7th & 8th. Artists and fine craftsmen in Woodstock and throughout McHenry County will be opening their studios to display and selling their work. The self guided tour will showcase the exceptional art and fine crafts produced in the region. The tour is free to the public. 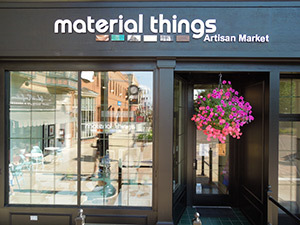 Maps will be available at Material Things Artisan Market 103 E. Van Buren Street on the historic Woodstock Square or they can be downloaded here. Be sure to visit the award winning Woodstock Farmers Market when picking up your maps.